Take your music anywhere and enjoy high performance sound. 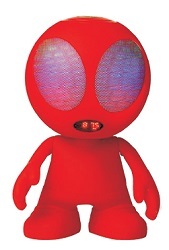 This adorable Alien Bluetooth Speaker will bring LED entertainment and HiFi music to your home. An easy, affordable way to expand your mobile device's onboard memory.